Crocktober is the October-long celebration of all things Crock-Pot and serves as the official start of the slow-cooking season. 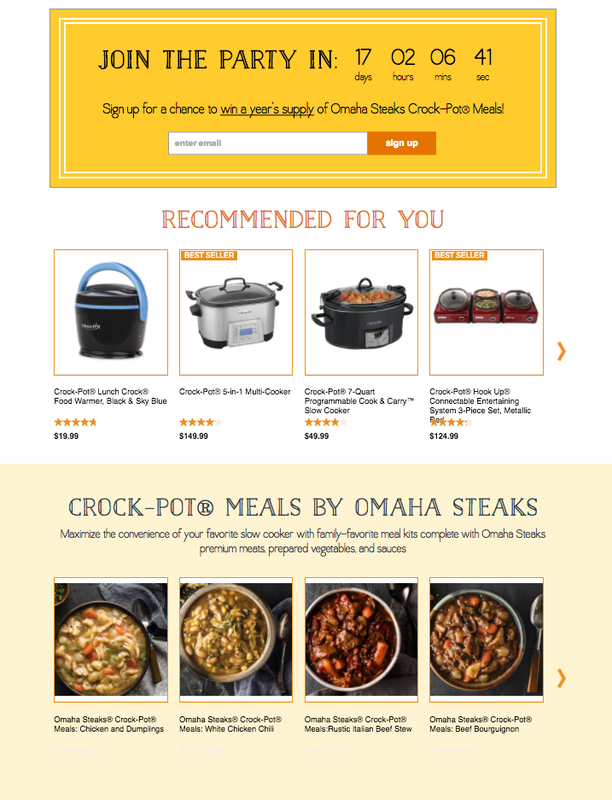 In 2017, Crock-Pot partnered with Omaha Steaks to create Crock-Pot Meals by Omaha Steaks, an all-included package filled with meats, sauce, and vegetables that you keep in your freezer and throw in your slow-cooker when you’re ready to eat. To support this launch, we created a landing page complete with a sweepstakes, shopping carousels, and recipe inspiration.